A rapid test for the diagnosis of myocardial infarction (MI) to detect CRP Semi-quantitative in whole blood, serum or plasma. For professional in vitro diagnostic use only. The CRP Rapid Test Cassette (Whole Blood/Serum/Plasma) is a rapid chromatographic immunoassay for the Semi-quantitative detection of human CRP in whole blood, serum or plasma as an aid in the diagnosis of myocardial infarction (MI). C-reactive Protein (CrP) in patient’s sera has been found in association with acute infections, necrotic conditions and a variety of inflammatory disorders. There is a strong correlation between serum levels of CrP and the onset of the inflammatory process. 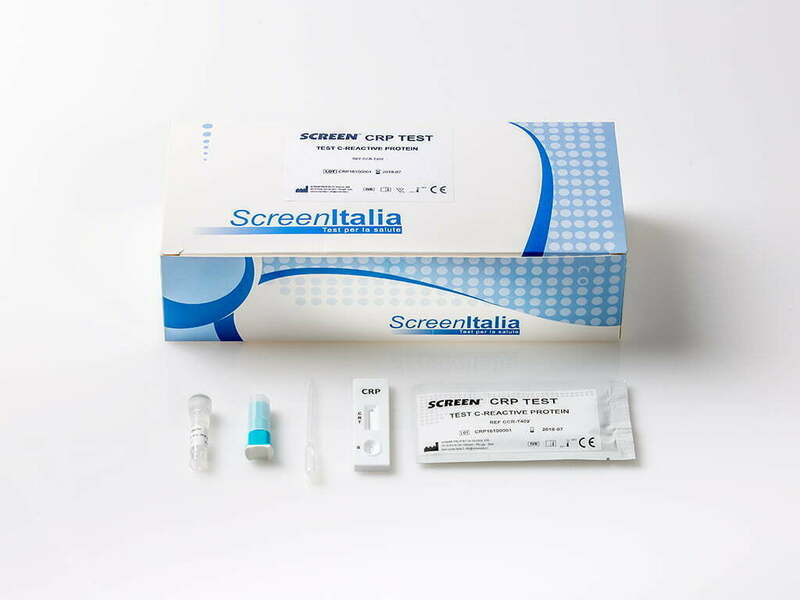 Monitoring the levels of CrP in patient’s sera indicates the effectiveness of treatment and the assessment of patient recovery. It is used in particular to differentiate bacterial infections from virus infections.